Dane and Kirsten are two of the most caring, down-to-earth, genuinely sweet people you'll ever meet, and their wedding reflected their hearts perfectly. They shared their vows with each other in a small clearing underneath a tree, and celebrated their marriage in a barn surrounded by friends and family. 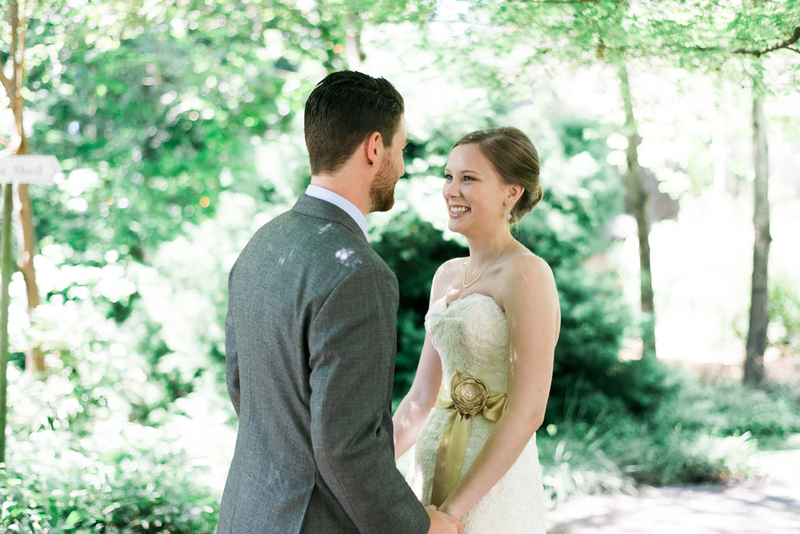 Little personal touches could be seen all throughout their wedding--from the Catholic hymns sung at their ceremony to Kirsten's grandmother's hand-crochetted doilies decorating each table. Even the flowers they picked were from a running joke in the family that Kirsten's favorite flowers were "wildflowers" (a.k.a. weeds). Friends and family pitched in from all around to help the couple create all their DIY decorations: wooden table rounds, calligraphed chalkboard signs, and handmade banners. Yard games provided endless family fun, and their violin & accordion duo playing through out the ceremony and reception made it a whimsical afternoon. Sentimental toasts commenced and as guests reached out their hands in prayer, the love of each guest towards Dane & Kirsten felt tangible in the air. Finally, as the sun set behind the barn, the lights dimmed and the music turned up as the guests retreated to the dance floor to continue the celebration. Congratulations Dane and Kirsten! We are so happy to share this day and all its memories with you.